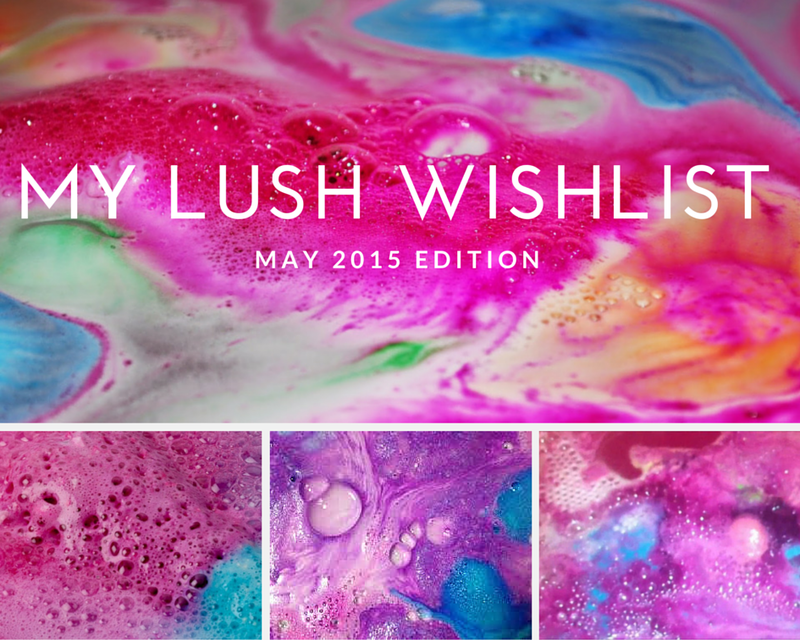 My LUSH Wishlist, May 2015 Edition. To defeat the Monday blues I decided to do a little window shopping on the Lush website. I found a ton of stuff that I want to try so I thought I would share it with you. You can let me know if it's 'worth my dough' or a 'hell no!' Let's get cracking!!! 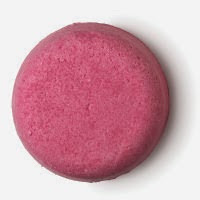 This little cutie is the Think Pink bath bomb priced at £2.65. Isn't it just so pretty? I love the look of this and the colour. 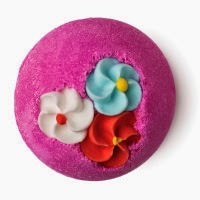 The scent is supposed to be quite sweet which is what I go for when it comes to bath bombs. I want to try it!!! 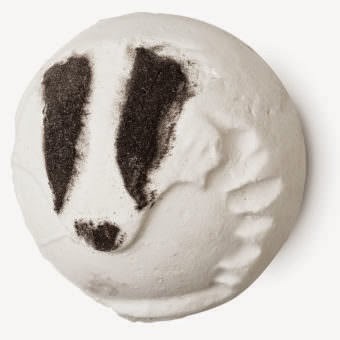 This adorable little fella is the May Day Ballistic Badger at £2.95. I'm pretty sure they had this one in last year but I didn't manage to grab it. I think some of the proceedings go to charity which I am all for. Plus that makes your 'me' time 100% guilt free. I really want this but I'm not sure how I would feel about dropping him in the bath. This is the Creamy Candy bubble bar. It's £2.75 and has rave reviews! Again this is a sweet scented bar, Lush say it smells of cocoa and almond. You can't say no to that. 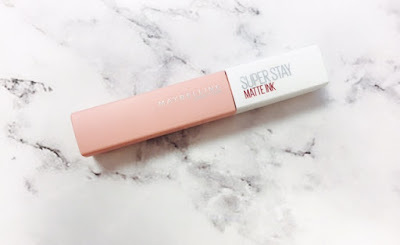 They also say that it leaves your skin as soft as candy floss...Yes Please! Say hello to Floating Island, sounds dreamy doesn't it? This bad boy is £4.35 which is a little pricey but it sounds delish. Again this one is cocoa butter and almond oil (I have a real addiction to anything with cocoa butter from lush). Now the joy of this is that as it melts is releases the cocoa butter and almond oils to film your skin with moisture, uh-mah-zing. Oh Hey Mmmelting Marshmallow Moment. Coming in at £3.95 this melt is a little more reasonable. 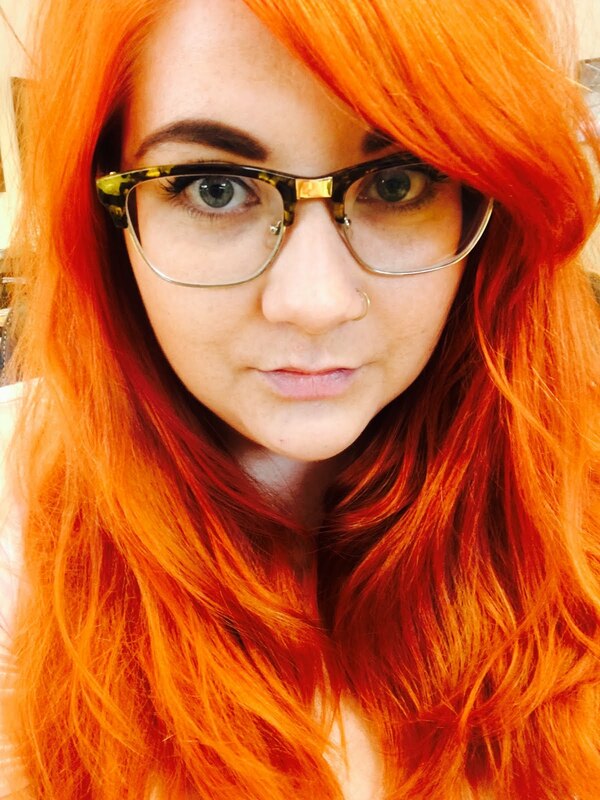 This little baby apparently brings to mind dolly mixture and candy floss, which ya know, I guess I could deal with! Due to the fact that this contains chamomile and marshmallow root it is said to be great for young skin and very gentle on irritated skin. I love the sound of this. This is the D-fluff shaving cream at £5.75. 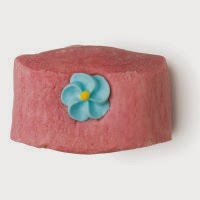 Strawberry scented with a hint of cocoa this soap is meant to take the stress out of shaving. I always get shaving rash so this is a must try for me. It has coconut oil, golden syrup and egg whites to create a light texture. This sounds amazing. 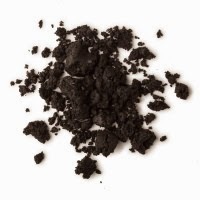 This is the Dark Angels cleanser costing £6.75. Now I love Lush cleansers anyway but this just looks awesome. Containing black sugar and charcoal to exfoliate. It also has Avocado oil and I have to say I go weak at the knees for those green suckers! 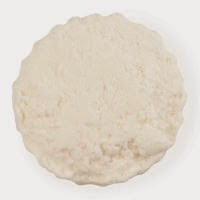 Last but not least this is the Vanilla Puff dusting powder at £4.95. 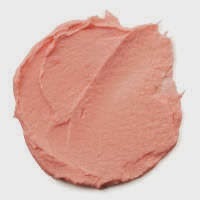 This is a light, fragranced powder scented with Vanilla. I think coming out the bath and dusting this will make you feel amazing. 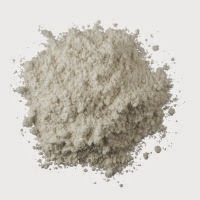 Powder is also really cooling in the summer months. So that's it, all the things I want!!! What Lush products do you love?